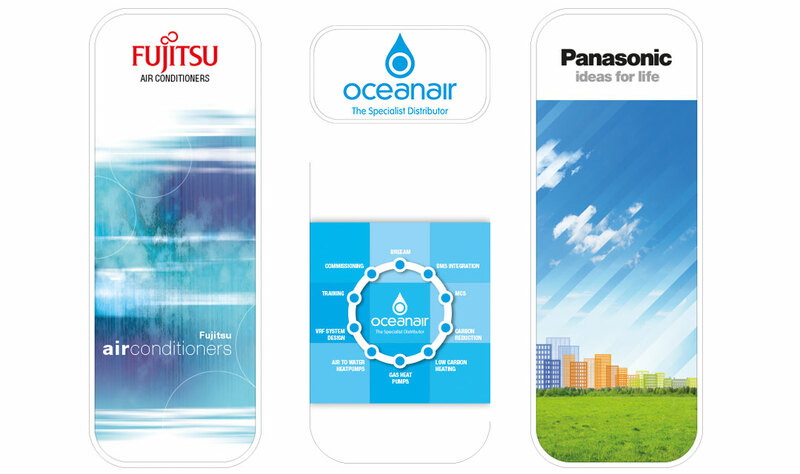 Our client is a nation-wide Air Conditioning Distributor and represents two major bands, Panasonic and Fujitsu. 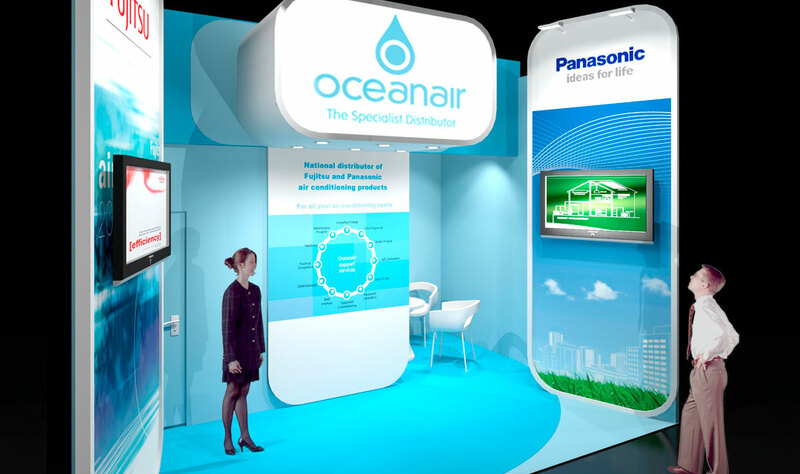 Having booked a space at the major industry event, the HVAC show, they approached us for a professional stand design that would help them to make a good impression and get the best return on their investment. Although space, budget and timescales were tight we created a fresh, clean and current design which incorporated video screens showing product and company information in the open welcome area, as well as a more private area for meetings. 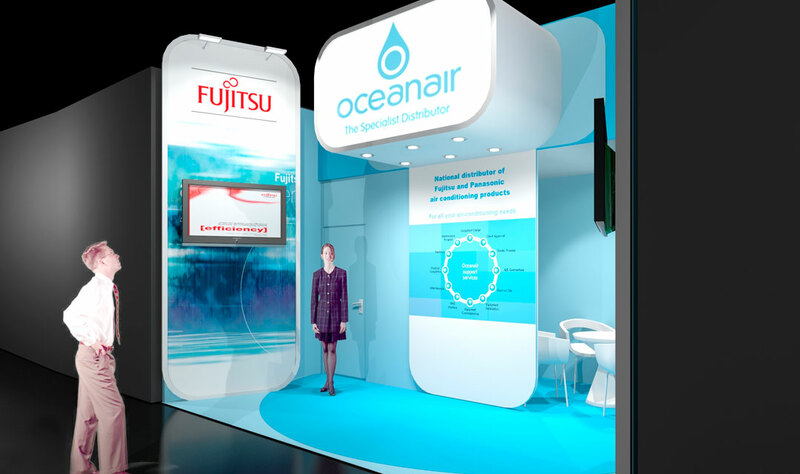 We managed the print of all the large scale graphics and liaised with our stand builders to produce an extremely professional looking stand that succeeded in attracting a high footfall at the show.